Both Abu Dhabi and Dubai have been ranked the top cities to live and work in the Mena region, said a new study conducted by Bayt.com, a leading job site and YouGov, a major global online market research company. The ranking of this regional survey titled “Top Cities in the Middle East and North Africa” was based on several factors including economic, environmental, standard of living, socio-cultural and entrepreneurship. “How you start your career is an important determinant for future financial success. 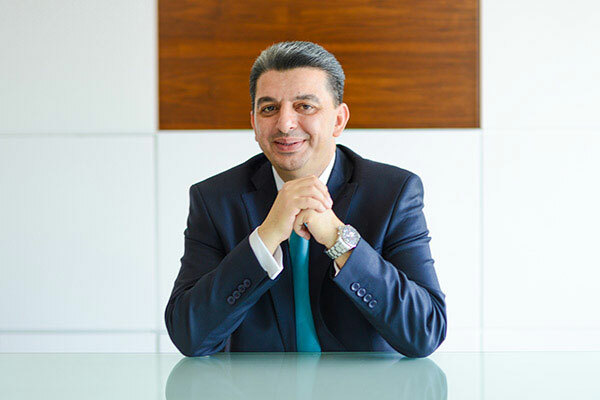 Where you start is also important –some cities make it easier to start a business or to launch a successful career, “said Suhail Masri, VP of Employer Solutions at Bayt.com. Dubai and Abu Dhabi emerge as the top cities in terms of job availability. Abu Dhabi and Dubai are also the top cities in terms of benefits for working parents. Abu Dhabi emerges as the best city in terms of health insurance and social security as well as wage protection systems. In terms of proactive policy-making, Abu Dhabi and Dubai were also rated highest. Furthermore, residents of Mena cities highly value environmental factors relating to cleanliness. Dubai and Abu Dhabi are rated among the highest in terms of clean streets and roads with a vast majority stating so. Dubai and Abu Dhabi take the top spot in terms of beauty of architecture and buildings with the vast majority rating it positively (90 per cent and 89 per cent respectively). Abu Dhabi is rated best for manageable traffic. Abu Dhabi emerged as the top city for availability of parks/ community gardens with 85 per cent rating it positively. When it comes to availability of healthcare facilities, both Abu Dhabi and Dubai are considered the best cities. Abu Dhabi is also at the top in terms of quality of health care facilities joined closely by Dubai and Sharjah. In terms of water/ electricity/ sewage systems, two UAE cities are rated best – Dubai and Abu Dhabi (90 per cent and 89 per cent respectively). Dubai takes the top spot for accessible public transportation as well as quality of accessible public transportation system. For availability of wide range of entertainment avenues, Dubai gets the top spot with an 89 per cent positive rating. In terms of availability of educational institutions, Dubai is the leading city (80 per cent). When it comes to child friendliness, Abu Dhabi takes the top spot (77 per cent). Abu Dhabi and Dubai are the top regional cities when it comes to lack of bureaucracy in procedures and paperwork. Dubai is in the lead in terms of market willingness to accept new ideas. At the same time, Dubai is the top city in terms of ability to find local talent to employ. Dubai and Abu Dhabi are all rated highest on ability to find skilled and well-educated talent to employ. When asked about sports, culture and recreation factors, respondents prefer cities with availability of family-friendly activities where Dubai, Abu Dhabi, and Sharjah take the lead. In fact, Dubai also emerged as the top city in terms of availability of relaxation options (83 per cent) and arts & culture offerings (79 per cent). In terms of availability of world heritage sites/preserved old towns, Abu Dhabi emerges best (76 per cent). Abu Dhabi also emerges as the top city in availability of outdoor/sports activities with positive ratings of 73 per cent. Abu Dhabi takes the top spots in availability of natural areas/natural landscape with 73 per cent respectively giving it a positive rating in this aspect.